Trying to find outstanding IT Support in Andover, NJ? If you are searching for trusted and economical Andover, NJ IT Support, CSM will be your provider of choice. We enhance your business efficiencies and increase office productivity by relieving you of the responsibilities of IT management. We allow you to concentrate on growing your business and servicing your customers by guaranteeing that your technology is operating at peak efficiency. Established in 1984, CSM has over 3 decades of expertise helping firms solve their most difficult Information Technology challenges. Companies of all sizes in Andover, New Jersey count on Computer Systems and Methods as their technology adviser. CSM has long been Information Technology icon, providing IT Support in NJ to some of the Garden State’s most recognizable companies. What IT Services Can We Deliver for Your Company? Cut-throat competition, outrageous taxes, and unbearable regulations make conducting business in NJ extremely difficult. In order to operate a prosperous business in the Garden State, your company needs to have intense concentration on engaging your customers and developing your bottom line. When their earnings are on the line, Business Owners and Technology Professionals rely on CSM as the very best and most experienced of all IT Support companies serving Andover, NJ. CSM’s sole mission is to help companies decrease their IT budget and to streamline their businesses. No matter if it’s regular tech support, help desk support, or a more difficult system integration or IT solution, our technology experts will get the task done right and on budget. As a premiere IT Support provider, CSM is positioned to manage the entire project end to end, or just provide a helping hand when necessary. When your organization is considering an IT Support firm in Andover, New Jersey, consider CSM. When demanding decision makers evaluate IT Support suppliers, CSM is constantly the safe bet. 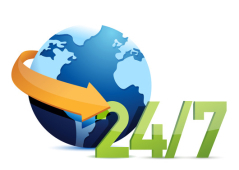 If you are looking for a 24×7 IT Support supplier, CSM’s NetManage solution provides the technology support your business needs. NetManage allows you the freedom and peace of mind to manage your company, and not your network. If your organization in Andover, NJ is looking for top quality IT Support, simply fill out the contact page form, and one of our IT Consultants will get in contact with you immediately.